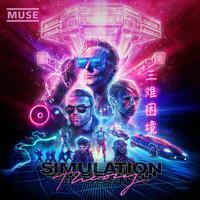 Featuring the hit singles "Something Human," "Pressure" and "Get Up and Fight"
Since their debut in 1994, Muse have released seven studio albums selling upwards of 17 million albums worldwide. Drones, the group's seventh album, topped the U.K. charts for two weeks in June, while simultaneously topping the charts in the U.S.A., a first for the band. In total the album reached No. 1 in a staggering 23 countries including France, Japan, Australia, Netherlands and Switzerland.